Taxis for tourists and travellers - Border Villager Taxi will take care of your holiday travel needs. Northumberland is considered to be one of the most tranquil counties in England, rich in heritage with a strong sense of identity. Vast stretches of unspoilt coastline, sandy beaches and rocky outcrops provide an amazing backdrop for numerous castles and fortifications including Bamburgh, Lindisfarne on Holy Island, and Dunstanburgh near Craster. Inland the Cheviot Hills in the Northumberland National Park rise up amidst the beautiful rolling countryside, interspersed with small market towns and villages and a wealth of interesting places to visit. 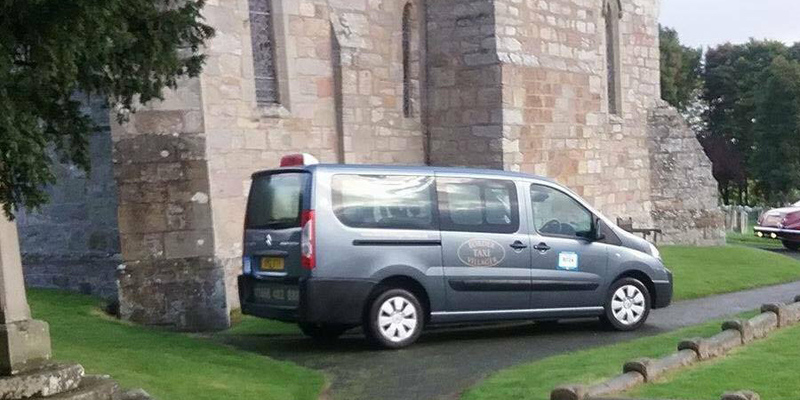 Border Villager Taxi serves hikers undertaking the Pennine Way which starts (or finishes depending on your itinerary) in Kirk Yetholm and St Cuthbert's Way (Melrose to Lindisfarne). In addition to walkers, Border Villager also provides transport for sporting parties and individuals visiting the area. Salmon and trout fishing is very popular on the River Tweed and River Till or one of the well-stocked reservoirs, as is shooting and stalking throughout the season. This area is also served by a variety of golf courses, from the Hirsel at Coldstream and Magdalene Fields Golf Club at Berwick-upon-Tweed to the Roxburghe championship course near Kelso.